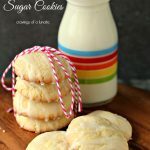 Glazed Lemon Sugar Cookies are so simple to make and are perfect for bake sales and parties. 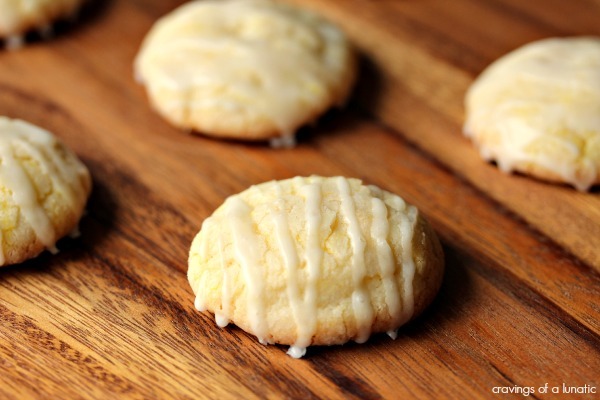 These lemon cookies are a serious crowd pleaser. Hi my name is Kim and I’m a lemon addict!! How can you help yourself when it comes to lemons? The gorgeous, bright, sunny yellow colour combined with the fresh scent is a dangerous combination. One I love wholeheartedly. I’m also a huge cookie lover, especially during the holidays. It’s that time of year that cookies become serious business. Everyone wants cookies at Christmas. Who can resist? Not me. The options for cookies are endless right now. 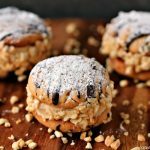 You can find thousands of cookie recipes online. Whatever flavour you have a hankering for you can find a cookie to satisfy your craving. For me, lemon is something I crave often. It ranks right up there with chocolate in my book. I love that sweet, citrus flavour. There’s something about biting into a lemon cookie that just makes me happy. What I really dig about this recipe is how easy it is. You can whip up the dough in a snap. The original recipe calls for popping the batter in the fridge overnight, but I made these without doing that. They came out beautifully. These are not only easy to make but absolutely gorgeous on any cookie platter. I love the look of the crackle top with the glaze over top. They brighten up any cookie platter, and make awesome gifts. 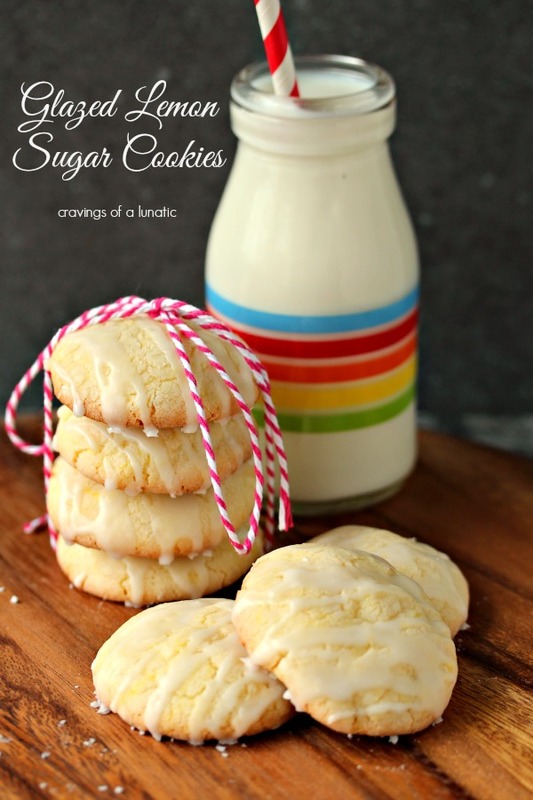 You can find the recipe for these Glazed Lemon Sugar Cookies over at This Gramma is Fun. I’m a monthly contributor over there. 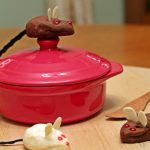 So hop on over there to get the recipe. Say hit to the gals while you’re there. They are delightful. You can use regular lemons for this recipe, or Meyer lemons. I prefer Meyer lemons but they can be hard to find in some areas. If you do find some buy a gazillion of them. You will not be sorry. So to recap I love Meyer lemons more than life itself. If you have some at your local store grab them over regular lemons. Given the choice always reach for Meyer Lemons. Every. Single. Time. Preheat the oven to 350 degrees F. Line two cookie sheets with parchment paper. Set aside. Now add the vanilla, egg, lemon zest, and lemon juice to the bowl, continue to beat until combined. Mix the flour, baking powder, soda, and salt in a small bowl, whisk with a fork until combined. Now add this dry mixture to the wet mixture slowly, continuing to mix until combined. 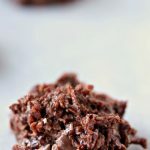 You can use a cookie scoop or tablespoon to drop the cookie dough into balls into a bowl of confectioners' sugar one at a time, then transfer them to the cookie sheets. Place in the oven and bake for about 9-11 minutes. The cookies should be crackly on top when done. Remove from the oven and allow to cool on pan for a few minutes. Then transfer the cookies to a cooling rack. Continue to cool. Mix the confectioners' sugar and milk together in a small bowl. You can add more of either ingredient until you get the desired consistency you like for a glaze. Now drizzle the glaze over the baked and cooled cookies. Allow the glaze to dry. Serve with a big old lemon loving smile! Can you believe that I have not had that many cookies this holiday season? I’m not sure how I’ve missed out on overdosing on my favorite treats. I’ve been looking for citrus infused cookies. These sound delicious! 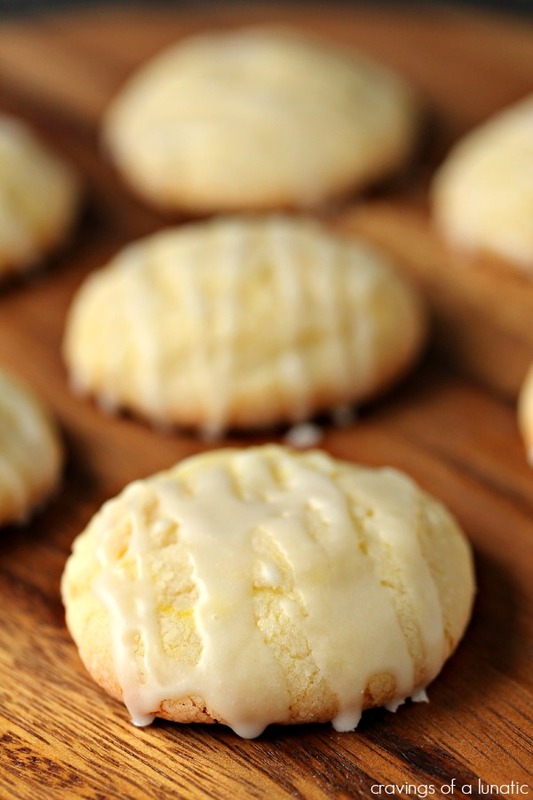 I love lemony, buttery cookies and yours look delicious! Pinned & headed over to get the recipe! I’ve never tried a Meyer lemon (we don’t have them here and I had never heard of them 6 years ago before moving here) but that’s okay because I’m totally content with regular lemons. They’re perfect. And I love them more than anything in January. 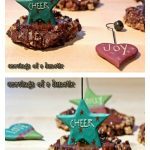 🙂 And these cookies look like a great way to add even more happiness to my lemony January days! Ha, this totally made me smile Erin. Meyers are wicked hard to find here. I live in the boonies, it’s not very up to date when it comes to food. But any time I head up to Toronto meyers are the first thing I look for. I like any lemon, really any citrus. There’s something about citrus that perks you right up. You must be in the same boat as me when it comes to entering givaways. I can rarely enter because we’re in Canada. We just recently picked up a U.S. mailing address to make my work life easier. Then it dawned on me that also means I can finally start entering contests. Ha. I am also a HUGE lemon dessert fan…lemon bars, lemon meringue pie, lemon curd, lemon COOKIES! I know I’d love these (I can’t resist a good drizzle)…off to get the recipe! Oh yes, lemon. I buy a net every couple of weeks and boom just like that they are gone. 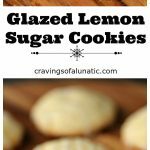 Lemon and sugar is the perfect combo and a lemon glazed sugar cookie has my name on it! I use to not really be big into lemons but they’re starting to grow on me. Actually your blog is what’s helping me over my lemon hurdle haha. Oh and these cookies… yum! I’m loving them even more because you don’t *have* to put the dough in the fridge overnight! I’m also a lover of lemons, especially Meyer lemons! Luckily, we have great access to them. Lemons just seem to go with everything and brighten flavors beautifully. These cookies look fantastic!! I love sugar cookies! I could go for one of these right now! Girl you don’t even know! I love love love lemons! When I was a kid I would cut them in half and eat them with just a sprinkling of salt. I’m sure my dentist was super psyched to learn I was eating plain lemons but whatever. They are delicious. I think the thing I love most about lemons is how bright and cheery they taste…food can taste cheery, right? I love the look of the beauties and I’m off to check out the recipe. If you asked me what my favorite dessert flavor was, I don’t think I’d be able to choose between chocolate and lemon. There’s something about the brightness and freshness of lemon that is irresistible. These cookies are so pretty, Kim! 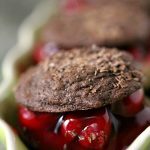 Thanks so much for allowing me to include your recipe in my round-up, 60 Ultimate Cookie Exchange Recipes on Taste As You Go! Happy Holidays! Your sugar cookies remind me of my foodie mother. She used to prepare cookies for us to devour after playtime. This recipe is a whole lot new and savory which I can try to make. The glaze of lemon on it makes the cookies more special. Thanks so much Christina. 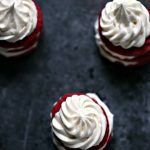 Hope you get a chance to try these.